Looking excellent already in just the primer Steve. 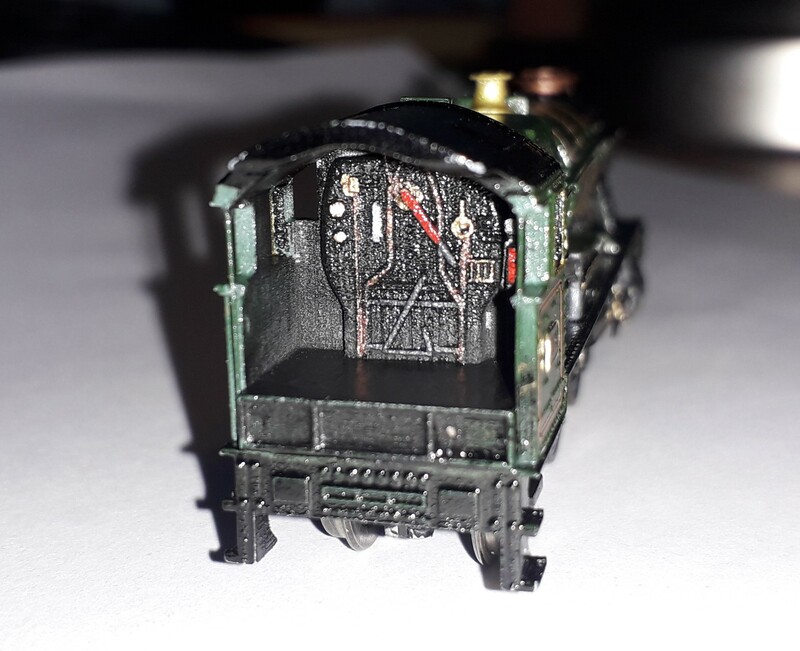 Would the Dapol Terrier chassis fit the small tender and could that work as a self contained tender-drive? Gareth Collier seems to have had a good deal of success with this solution on some of his locos. 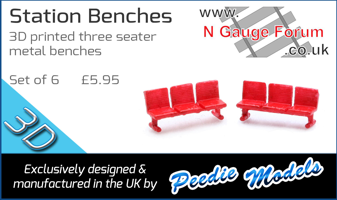 Look forward to seeing the tiny twins painted (no doubt then gaining some fancy LNER lettering). Would they have been in plain black by your chosen era or lined? Many thanks for the kind words. The Terrier chassis is a lovely unit but a little short on the wheelbase. 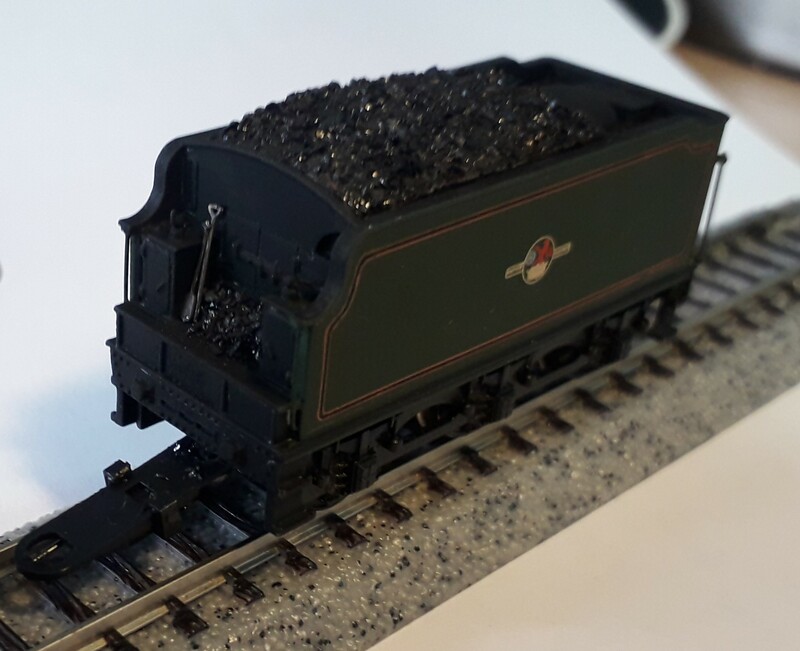 Also, I'd like to use traction tires and the Terrier is unusual in that Dapol decided to use 1mm axles rather than the more usual 1.5mm ones. If push comes to shove, I might well go down that route but I'd like to see if I can do something a little more correct for the tender, having spent a bit of time trying to get the loco as close to scale as N gauge allows. 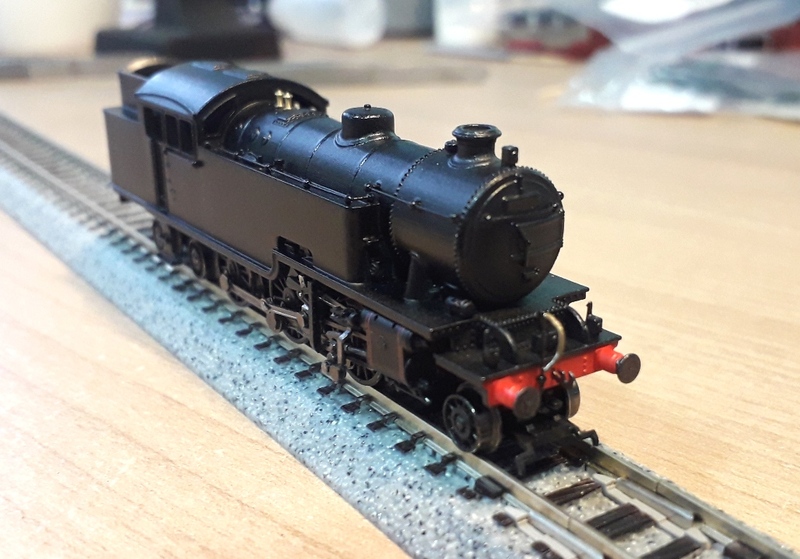 Edit: Both will be in unlined black as the LNER 'economy measures' started in 1928 so anything that wasn't considered a mixed traffic locomotive was painted plain black (even though the J3s were still used as such). A shame as the locos would look lovely lined in red but it does make painting easier! Painted with Vallejo acrylic Vermillion and Black using an airbrush. I'll give them a couple of days to harden and then I'll put a coat of Ronseal gloss varnish over the top before picking out details as necessary. ...having spent a bit of time trying to get the loco as close to scale as N gauge allows. I nominate this as Forum understatement of the week! To be honest, me too! Ok, about as far from the J3 in terms of the time of building as I can get. The test build of my revised L1 print. I've still got some snagging work to do on this one and a couple of minor things to redesign internally to make life easier but it is slowly coming along. 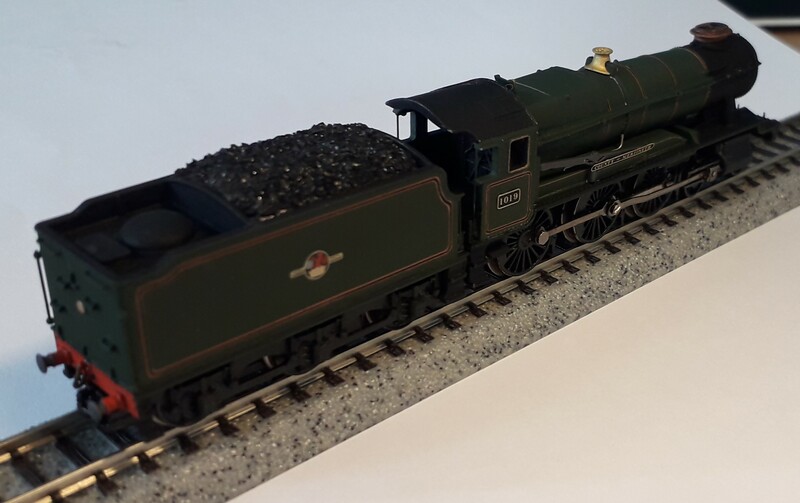 This one already has a new home to go to (a layout being built, based on Whitby) and I hope to have this, and some of the variations, available for general sale later in 2019. After an absolute age, I finally returned to the County last week and it is now fast approaching the finish line. As I'd been given some etched fire irons and shovels by the eventual owner, I found a little space at the front of the tender to add a couple of these. I also painted the back head - apologies for the quality of the picture here, I had to use my phone's flash to get anything to come out! All I have left to do is to fit some lamps as the crew will be supplied separately later. Before anyone comes asking, I'm not uploading this to Shapeways due to all the problems they've been causing recently. I'm currently doing some experiments with my own printer to see if I can create a viable print myself. If this proves successful then I was consider making these available in the future. It's an absolute stunner Steve, marvellous work, right up there with the very best. The new owner will be absolutely chuffed to bits I am sure! A fine example of your work, Steve. Excellent job. Put me in the queue if you are successful Steve - it looks great! 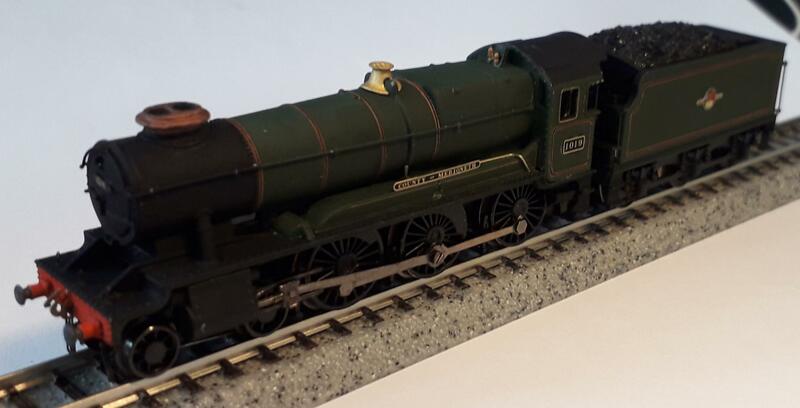 Mr D’Costa master craftsman, Hawksworth would have been proud of what you have achieved in a N 2mm version of his loco. Looking forward to seeing her pulling a rake of Choc & Creams on a certain layout! Thank you for your kind words guys. You'll get your wish in a couple of weeks Carl.